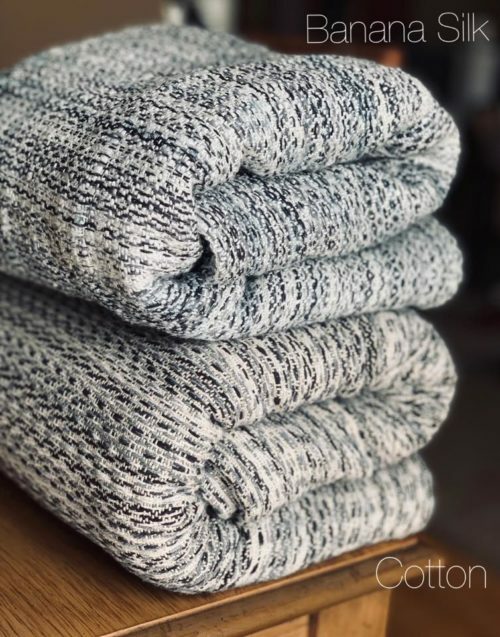 Astaire is a nod to the famous American dancer Fred Astaire with it’s monochrome warp like the black and white films he starred in and “dancing” variegated lines across the length. 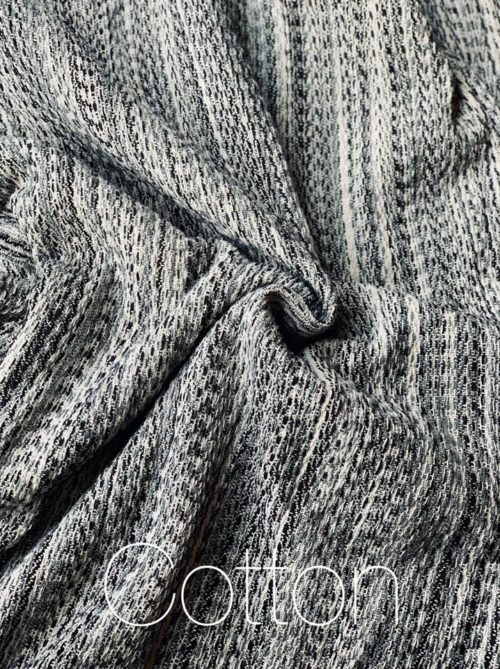 The black white and grey warp is a classic in 100% cotton that is transformed into something new and beautiful by 2 different wefts this time… Natural Cotton (Leslie Caron) and Natural Banana Silk (Ginger Rogers). 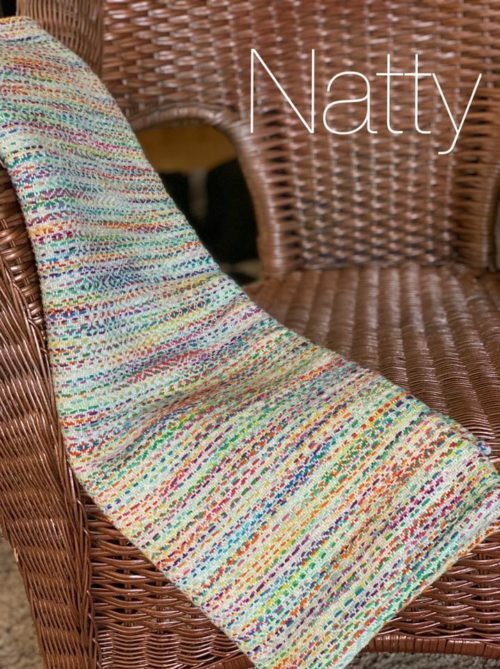 Angel Cakes is a true handwoven available at an incredible machine woven price! 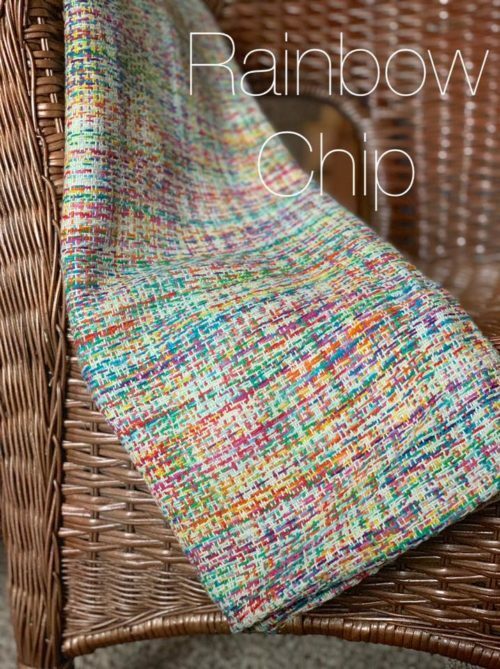 This updated version of a classic Ethos design features a cotton natty and rainbow chip hand painted warp with 5 different cotton wefts... rainbow chip to match the warp, natty, gray, aqua and hot pink in various twill weaves.